SofLens Multi-Focal are monthly contact lenses by Bausch & Lomb designed to correct symptoms of presbyopia. 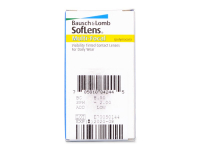 Their advanced material helps ensure adequate moisture, comfort, and sharp vision throughout the day. SofLens Multi-Focal are monthly contact lenses created by Bausch and Lomb. 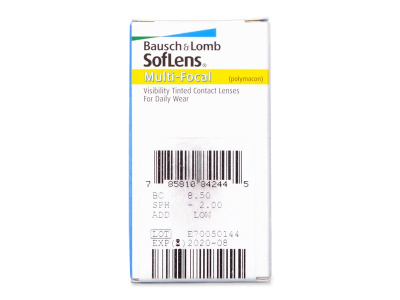 SofLens Multi-Focal are designed to correct vision symptoms caused by presbyopia, or age-related long-sightedness. As you reach your forties, your sight deteriorates, and you find it more difficult to focus on objects both close and far away. SofLens Multi-Focal enable you to see well at all distances without strenuous focusing. They are technologically well-developed contact lenses made from high-quality materials. 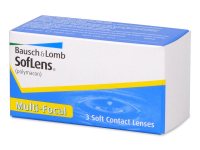 SofLens Multi-Focal contact lenses can be worn all day long, but they are not designed to be worn overnight. They must be removed at the end of the day, cleaned, and placed in solution overnight. The ADD Power value of SofLens Multi-Focal is a special dioptric value added to the dioptric correction.